Tesoro del Valle is a 121-unit affordable develop- ment with 2-, 3- and 4-bedroom family apartments. Construction is a Type V wooden structure over a Type I concrete podium for secure subterranean parking. Tesoro del Valle is built on a 2.28-acre sire, part of a 6.67-acre “Avenue 26 Master Plan” located next to the Cypress Park Gold Line Station northeast of downtown Los Angeles. The new housing is adjacent to the Golden State and Pasadena Freeways, along with Dodger Stadi- um, Lincoln H.S., Lacy Park and numerous conven- ient amenities on the Broadway retail corridor. 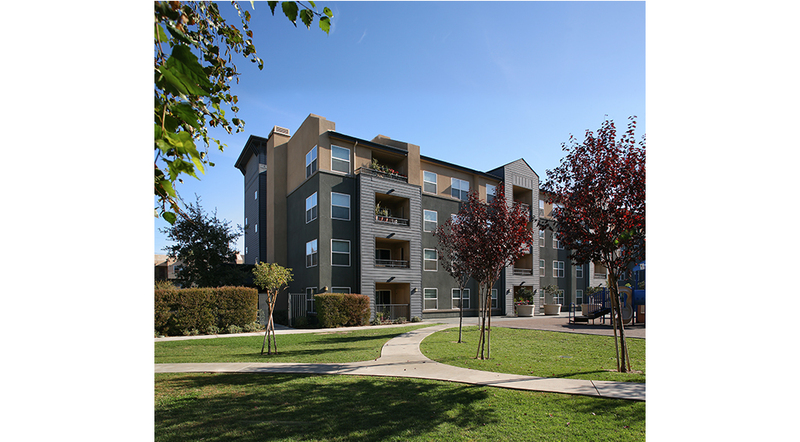 Tesoro del Valle is funded by 9% Low-Income Housing Tax Credit equity.